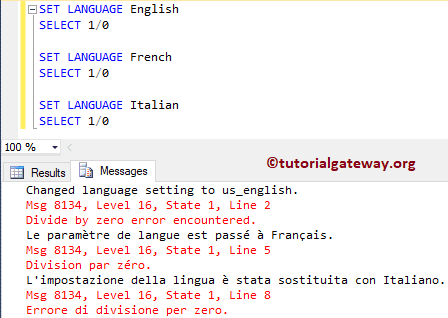 The SQL LANGUAGE is one of the Set Function, which will set the Language or change the default language. This Set language Statement determines the system message, and datetime format. 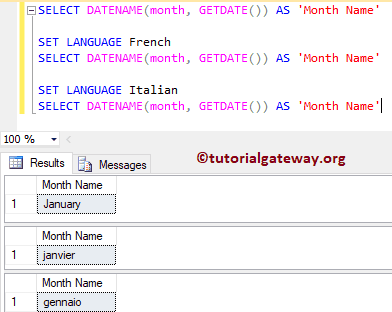 In this example we will show you, How the SET LANGUAGE in SQL Server will affect the datetime, and message formats. if you find it difficult to understand the language names then use sp_helplanguage stored procedure. You can see the message in different languages.